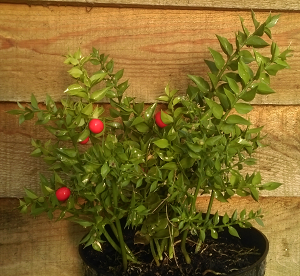 An evergreen hardy shrub of height up to 75cm, spread up to 1m. 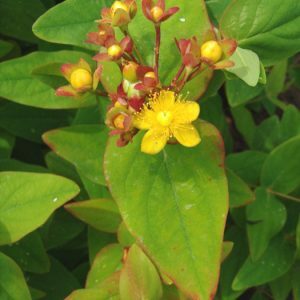 Small pale green flowers in spring, followed by glossy red berries on the female plants in summer and autumn. Has spine-tipped 2.5cm long leaves. Will grow in a wide range of soils and both full sun and full shade.